If you are a business owner looking for affordable financing, Nav is a good place to start your search. Nav was built to help you find the right funding for your business, which begins by knowing your business and personal credit scores. If you are looking for a quick summary of your credit information, beginning to establish business credit, or considering financing options for your business in the near future, Nav provides three plans to cater to your needs, called Standard, Essential, and Premium respectively. With over 200,000 businesses served and an A+ rating from the Better Business Bureau, Nav is the de facto standard for any business looking to review and improve its credit health and access financing. How Does Nav Make Money? What Business Credit Cards Does Nav Feature? What Small Business Loans Does Nav Feature? Nav helps you find affordable financing for your business by matching you to the best credit card provider or lender based on your personal and business credit histories. As a business owner, finding affordable financing can be a challenge because your personal and business credit histories are usually both scrutinized by lenders. Nav simplifies the process of sourcing business funding options. It is the only place online where you can access both business and personal credit histories in one place. With your credit histories in hand, Nav connects you to its financing marketplace so you can find the best business funding choices for you – as opposed to for lenders. For example, a line of credit may be the best financing option for your business while another might fare better with a business credit card or SBA loan. In the Nav financing marketplace, over 100 leading business credit cards and loans are available and your best match is shown based on your credit and business profile. Where Nav shines is that its marketplace is lender-neutral, meaning that it doesn’t favor one lender or credit card provider over another. Because Nav doesn’t actually issue the loans, it can remain independent and match you to the best financing option to meet your specific needs. No lender pays Nav to be featured more prominently so you can be assured that the financing options provided to you are based on what is best for you, not for the lender nor Nav. Nav makes money when you request detailed information about your personal and business credit histories, but if you want summary access you can get it for free. Nav provides three plans for businesses looking to access business and personal credit histories. The free plan gives you a personal credit score from 1 bureau along with letter grades for your business from 2 bureaus plus a summary of VantageScore 3.0 credit reports. If you want more detail, you will need to pay for either the Essential or Premium plans. Although the Premium plan is just $5 more, Nav value stacks it with a lot more detailed information than the Essential plan. In both the Essential and Premium plans, you get insights on factors affecting your credit score, $1M of identity protection, identity recovery services, dashboard access anytime, email alerts, and live customer support. Where the Premium plan shines is by providing you phone access to lending and credit experts as well as giving you a personal VantageScore 3.0 score and business credit score from 4 bureaus – you get a VantageScore 3.0 personal report from Experian and Transunion only as part of the Essential plan. 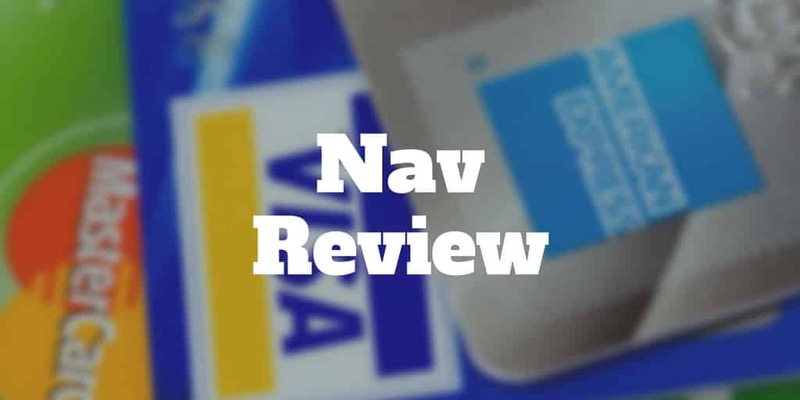 Based on your business needs and preferences, Nav will match you to the credit card that best suits you. Once you sign up and get your credit score, Nav lets you select the categories that work best for your business and then features the best business credit cards for you. You get to choose among Rewards cards, Charge cards, and Balance Transfer cards. Next you can choose which benefit you want: a low APR, no annual fee, or introductory offer. You can also select among various Reward options. For example, you can choose among Miles, Points, or Cash Back. And if you want to narrow down your search to a financial institution, such as American Express, Bank of America, Capital One, or Chase, you can do so easily. Once you have selected your preferences, a list of appropriate credit cards will be featured to match your needs. Ink Business Cash ℠ Credit Card $300 cash back when you spend $3,000 in first 3 months. The Blue Business ℠ Plus Credit Card from American Express Earn 2x points on everyday purchases. SimplyCash® Plus Business Credit Card from American Express Earn up to $400 cash back and $200 statement credit after you spend $5,000 in qualifying purchases in first 6 months. The Business Platinum® Card from American Express OPEN Earn up to 75,000 Membership Rewards® points. The Business Gold Rewards Card® from American Express OPEN Earn 50,000 Membership Rewards® points after you spend $5,000 within first 3 months. Capital One® Spark® Miles for Business Earn 2 miles for every $1 spent on everyday purchases. Capital One® Spark® Cash for Business Earn 2% cash back on everyday purchases. Ink Business Preferred Card ℠ Earn 80,000 points after you spend $5,000 on purchases within the first 3 months. Business Green Rewards Card from American Express OPEN Earn 5,000 membership rewards points after your first purchase on the card. 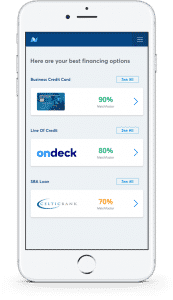 Capital One® Spark® Miles Select for Business Earn 1.5 miles per $1 on every purchase plus a one-time bonus of 20,000 miles when you spend $3,000 within first 3 months. Capital One® Spark® Cash Select for Business Earn 1.5% cash back plus a one-time cash bonus of $200 when you spend $3,000 within first 3 months. Gold Delta SkyMiles® Business Credit Card from American Express Earn 30,000 bonus miles after you make $1,000 in purchases within first 3 months. The Plum Card® from American Express OPEN Carry a balance for 60 days and pay no interest or pay early and get 1.5% cash back. Starwood Preferred Guest® Business Credit Card from American Express Earn 25,000 bonus Starpoints® after spending $5,000 in new purchases in first 3 months. Platinum Delta SkyMiles® Business Credit Card from American Express Earn 35,000 bonus miles and 5,000 Medallion® Qualification Miles after spending $1,000 in first 3 months. GM BuyPower Business Card from CapitalOne® 3% earnings on purchases from gas stations, restaurants and office supply stores. Capital One® Spark® Classic for Business No annual fee plus 1% cash back on everyday purchases. Bank of America® Business Advantage Cash Rewards MasterCard® credit card Earn a $200 credit after $500 in purchases within 60 days. Bank of America® Business Advantage Travel Rewards World MasterCard® credit card Earn 1.5 points for every $1 on purchases. The Kabbage Card The convenience of a card. The benefits of a loan. Lines of credit by Kabbage Kabbage provides small business lines of credit up to $250,000. Intermediate Term Loan by OnDeck Business term loans up to $500,000. Loans by LoanBuilder Loans up to $500,000. Line of Credit by BlueVine Interest charged only on balances and no early payoff penalty fees. Short-term Loan by RapidAdvance Get up to $500,000 in as few as 3 days. Line of Credit by OnDeck Business lines of credit up to $100,000. Line of Credit by LendSpark Lines of credit based on equipment and accounts receivables. Intermediate-Term Loan by Fundation Commercial, fixed-rate loans up to $500,000. Equipment Financing by LendSpark Businesses of all sizes and stages can access creative, ethical financing solutions. Intermediate-Term Loan by Credibly Small and medium business lending solutions issued by leveraging Data Science. Short-Term Loan by The Business Backer Alternative financing and lines of credit offered too. Short-Term Loan by LendSpark Bridge loans for expansion, new hiring, new projects, and working capital. Line of Credit by Headway Capital Revolving line of credit that allows businesses to draw up to their limit, borrow more, and then repay. Line of Credit by Fundbox Qualify for up to $100,000 in credit. Business Cash Advance by Swift Capital Funding based on future projections and sales. Short-Term Loan by Lendistry Expect to repay loan within 6-12 months. SBA Loan by Lendistry SBA loans no higher than 10.25% for up to 10 years. Monthly Remit Loan by Breakout Capital Small business loans up to $250,000 with 12-24 month repayment terms. Long-Term Loan by Lendistry Long-term loans are designed for small businesses planning long-term growth. Get access to extensive financing solutions, including credit card offers, lines of credit and small business loans that are independently served to you based on your financing needs. ✅ Independent Recommendations: Nav does not get paid by lenders or credit card providers, so small businesses match with financial providers who best meet their needs. ❌ Paid Plans: Depending on what offers you sign up for elsewhere, it may be possible to access information free, such as FICO® scores that Nav charges a monthly ongoing cost to receive. ✅ Personal and Business Credit: Nav is the only company to provide both personal and business credit histories to small business owners. ✅ Free Credit Summary: If you simply want a high level credit report review, you can get it free. ✅ Affordable Credit Reviews: To receive a credit report from 4 bureaus and receive ongoing identity protection, the monthly fee is affordable for most small businesses. ✅ Extensive Financing Options: Small businesses can source loans, lines of credit, and credit card offers. ✅ Top Better Business Bureau Rating: Nav has an A+ rating from the Better Business Bureau after serving over 200,000 businesses. Nav helps businesses to find affordable financing by matching them to the best credit card providers and lenders based on personal and business credit histories. The only place online where you can get access to both your personal and business credit histories is Nav, and you can view summaries at no cost. If you want more detailed information on your credit history from multiple bureaus and get insights into what factors affect your credit score then one of Nav’s paid products will be a better fit. The pricing is very affordable and the matching algorithm is top notch. So much so that after serving over 200,000 businesses Nav still has an A+ rating from the Better Business Bureau. The bottom line is if you want affordable financing from lenders or credit cards that best serve your business needs, Nav will evaluate your credit history and independently connect you based on your credit score and preferences.